It’s a rainy day in London so I thought I would post a splash of color to help kick off the weekend. I hope all of you have a wonderful weekend! This entry was posted in Travel Photos and tagged 50 Year Project, Blog, Blogging, England, Flowers, Kensington Gardens, London, Photography, Rainy Days, Travel, Travel Blog, Travel Journal, Travel Photo, Weekend. Bookmark the permalink. Thanks for the splash of color! We had some miserable days this week! 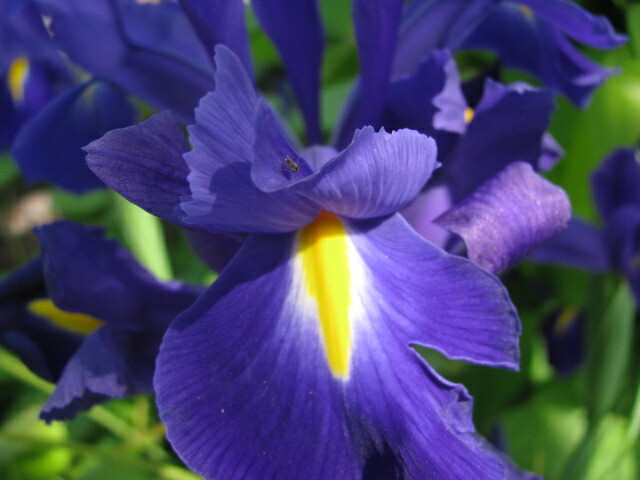 I adore Irises, thanks for the smile you brought me. Hope you have an awesome weekend too my friend!! Mine has started out awesome :). That’s a lovely flower! I like the colors! I’m longing for spring again!